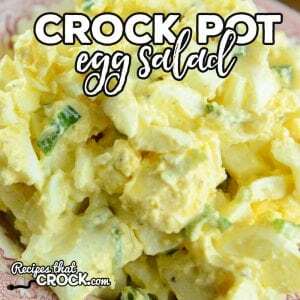 Crock Pot Egg Salad (No Peeling Required) - Recipes That Crock! 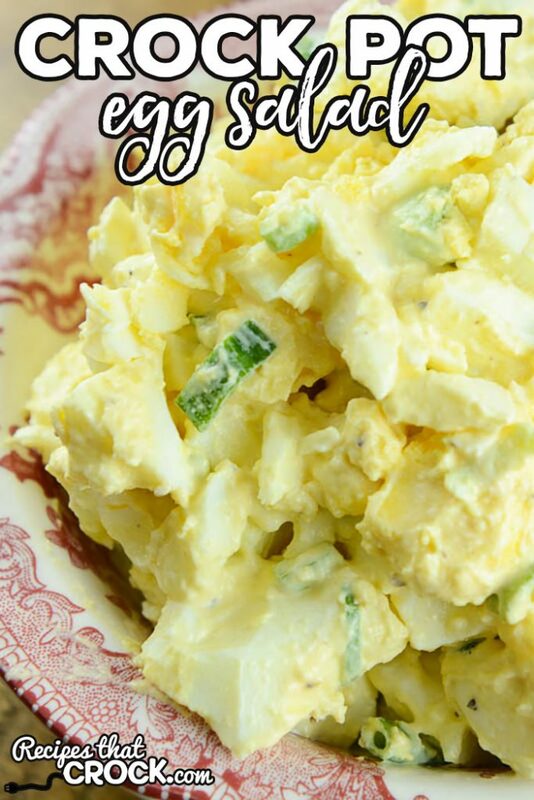 Are you looking for an easy way to make egg salad? Our no-peel method takes all the work out of making this simple Crock Pot Egg Salad. I love me a good egg salad. I especially love it with just a bit of sliced tomato… yum! And with my nifty No-Peel Crock Pot Hard Boiled Eggs kitchen hack, now I can whip up egg salad with very little effort. Chop the eggs to desired consistency for your egg salad. Place eggs in a bowl and add salt, pepper, mayo, mustard and green onions. Serve on toast or in a bowl topped with tomato slices if desired.